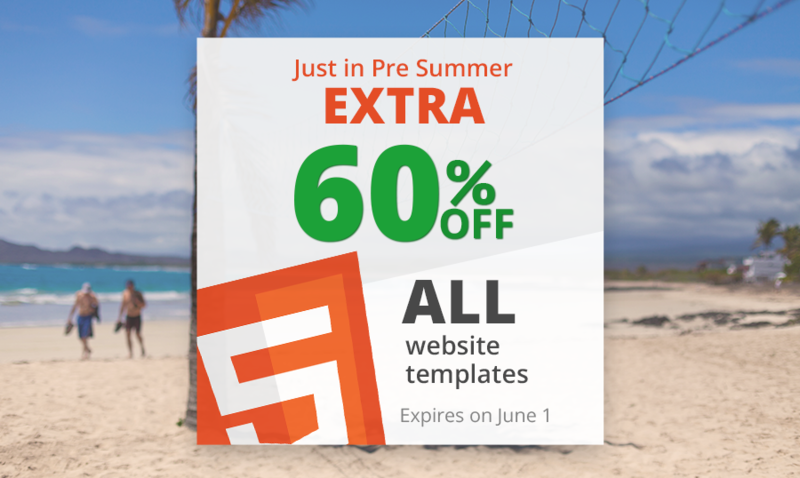 The summer hasn’t come yet, but we can already feel its heat in the air, especially after TemplateMonster announced its Pre Summer Promo. The company offers a discount of 60% on all the HTML5 templates, without any exceptions. You can make use of the discount only within a limited two-week period, i.e. from May 18 to June 1. So, if you believe it’s time to update your site or create a new one from scratch, you will have an opportunity to save a fair amount of money on its design. What’s more, TemplateMonster has unveiled a list of its best-selling HTML5 templates to help you with your choice. Popularity among multiple customers is a true sign that products are of decent quality. So, follow the link to look through TemplateMonster best-sellers over the last month. Whether you choose one of them or any other HTML5 template from the company’s assortment, you will certainly be satisfied with the 60% discount. Hurry up to make a purchase within the fixed timeframe. This entry was posted in Promos and Discounts, Website Templates. Bookmark the permalink.